Imagine the excitement your son or daughter will have with after spending the morning with a professional baseball coach. Envision the motivation your little one will gain as he or she spends time with successful college students. 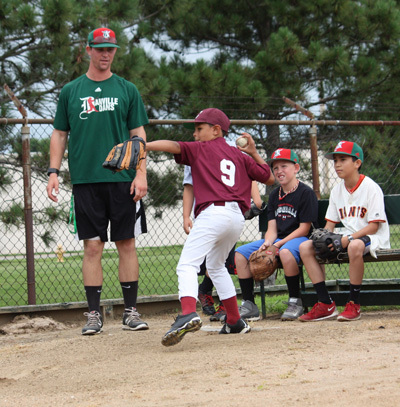 The Dans Baseball Camp features top-notch instruction in hitting, defense, pitching and teamwork. It is ideal for players looking for a well-rounded experience in baseball instructions, including drills, mechanics and strategies. This training program is designed to improve your player's skills. You'll see the results on game day and skills evaluation day. Questions about the Danville Dans Baseball Camps? Email: dansbaseball1@gmail.com or call 217-918-3401.